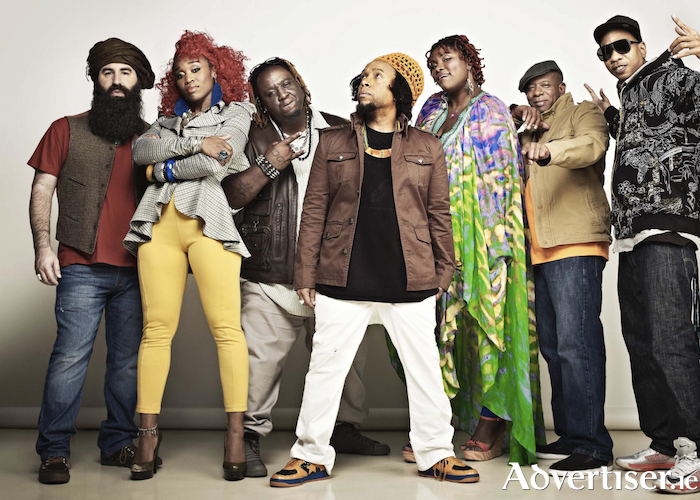 ARRESTED DEVELOPMENT, the long running, progressive rap collective, who fuse soul, blues, hip-hop, and Sly & the Family Stone-influenced funk with political, socially conscious, lyrics, are coming to Galway to play HALO. The group was founded in the late 1980s by rapper Speech and DJ Headliner, whose positive, Afrocentric, message, provided a contrast to the political rage of Public Enemy and the pessimism and machismo of Gansta Rap. Their debut album, 3 Years, 5 Months & 2 Days in the Life Of... (1992 ) remains one of the hip hop's most acclaimed, and has gone onto inspire Goodie Mob, OutKast, and Nappy Roots. Arrested Development have been awarded two MTV awards, two Grammy awards and were named Band of the Year by Rolling Stone (1993 ). They were the first, and last, rap group (so far ), to win the Grammy’s coveted Best New Artist award and Best Rap Single for Tennessee. Their hit song 'Mr Wendal', brought much-needed attention to the plight of the homeless - a song that, in the current climate, remains relevant, while 'People Everyday', continues to fill dance floors.